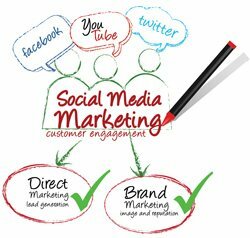 Internet marketing has changed a lot about how business and organizations interact with their customers, but even in the digital age, some rules remain constant, even if in a slightly different form. A key example is in the value of word of mouth advertising. Even in an age of information, most people make decisions based on things they read on social media or in online reviews. Previous posts have highlighted ways to engage audiences, how to handle negative feedback, and the importance of managing an organization’s reputation. This post will address another form of word of mouth advertising that is equally important, the online reviews. The value of consumer reviews has been shown repeatedly in many different studies. Just a few statistics can give business owners much to think about. According to a study from iPerceptions, 63 percent of customers are more likely to make a purchase from a site that has user reviews. Research from Bazaarvoice suggests that visitors who read consumer reviews have a 6 percent higher average order value than visitors who did not read reviews. The quantity of reviews matters as well. According to stats from Reevoo, products with 50 or more consumer reviews had a 4.6 percent increase in conversion rates. That said, it’s important to monitor negative reviews to ensure they don’t contain inaccurate information. A small study in Europe showed that people are more trusting of negative reviews, so it’s important that the information is factual, even if it’s negative. The same study also showed that placement is another thing to keep in mind when managing consumer reviews on a website. The first review seems to affect how the subsequent reviews are received. Ironically, as people become less likely to trust corporations, they are more inclined to trust complete strangers. Whether they know the reviewer or not, 69 percent of local consumers trust online recommendations as much as personal recommendations and 84 percent of US shoppers use reviews to help them make a purchasing decision. Encouraging customer reviews is also helpful for a website’s SEO efforts. Search engines notice reviews as being fresh, updated content for a web page. People who leave reviews will typically use the kinds of keywords that people are actually searching for. So encouraging customers to leave reviews can give a page new content and improve keyword density. Word of mouth advertising is more important now than ever and it’s important for businesses to embrace the potential of this kind of content. As the studies have shown, organizations that ignore online reviews do so at their own risk. Consumers seek out the kind of information they can only get from customer reviews and they are less likely to buy a product that makes such information had to obtain. Remember, If a customer has to leave the sales channel in order to search for trustworthy reviews, they may not come back.